Floyd Mayweather (left) will face off Conor McGregor in Las Vegas on Saturday, August 26 this month. The undefeated king of the ring Floyd Mayweather will be facing the notorious two times UFC champion, Connor McGregor, on 26th August in Las Vegas. The fight has been dubbed as “the money fight” as it is one of the greatest and most money making event in boxing history. The venue will be T-Mobile Arena in Paradise, Nevada. 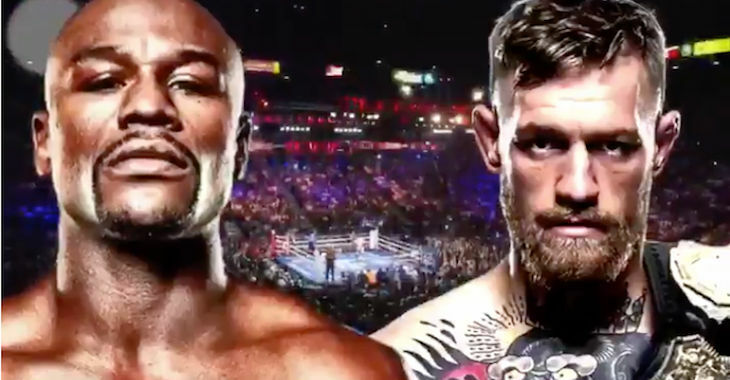 On Wednesday evening McGregor tweeted “THE FIGHT IS ON” and Mayweather also posted “its official” right after with a short promotional video on his Instagram page. Mayweather is considered favourite by many around the world because of a long history in boxing. There had been a yearlong negotiation between the two champions about the payment which is above 100 million, and also to decide who is going to be the main attraction of the event. The two champions are under pressure for the fight and working hard to prepare themselves for the ultimate fight. The exact financial settlement is not being disclosed but both parties are said to be satisfied with the result, which many speculate to be in hundreds of millions. McGregor is a two times UFC champion and is being trained by Freddie Roach for the upcoming fight. Mayweather was the mastermind behind this event and said that the only way to make him come out of the retirement was the upcoming fight with McGregor. The event is the main interest for those who usually make bets on sports event. Most of bets are being placed on Mayweather due to his past history in boxing. He has remained undefeated throughout his career with an unbelievable 49-0 record. The event is one of the most expensive one in the history of sports, costing $1850 dollars per ticket. Some tickets are being sold with the face value of $3,500, while near the ring the price is $10,000 and platinum seats are up to $14,995. Dana white, the president of UFC called this event “the biggest fight ever” in the history of sports. Mayweather Promotions, will be publicizing the event and will be available on Showtime pay-per-view in the United States. The PPV price is expected to cost more than $100. Sky Sports Box Office will air the ultimate fight for £19.95 in the UK and €24.95 in the Republic of Ireland.